Sonoma County is known for its award-winning wines, but you can also fill much more than just your wine glass in this abundant region — fill your spirit to overflowing with fun adventures, nourish your body with healthy food and exercise, perhaps pamper yourself with meditation and massage. Whether it’s a romantic retreat for two, a girls’ getaway, or a family vacation, this is a place to immerse, engage, and connect — with the earth, with nature, with each other. Perhaps you’ll uncover something new within yourself. A new sense of joy, maybe even a rejuvenated approach to living life. From wine tasting to wellness and more, here’s a suggested itinerary to create your perfect Sonoma County getaway for relaxation, connection, and renewal. Located at the crossroads of state highways 12 and 116 in western Sonoma County, the diverse community of Sebastopol boasts a rich agricultural history, small town charm, farm-to-table organic food and wine, creative artists and healers, and access to an array of outdoor recreation opportunities. Perhaps you’d like to explore the Laguna de Santa Rosa, the largest freshwater wetlands complex on the northern California coast, which has a trailhead, just an easy seven-minute walk from the downtown plaza. Or maybe visit one of the many massage therapists, day spas, yoga studios, and other healing arts practitioners who call Sebastopol home. And be sure to browse the charming downtown area, with its diverse mix of local shops and galleries. Slightly northeast of downtown, The Barlow offers unique shops, restaurants, boutique wineries, craft breweries, and art galleries on a 12.5-acre campus of industrial chic barn buildings. Eat farm-to-table goodness by Next Iron Chef contender Duskie Estes and husband-butcher John Stewart at Zazu Kitchen + Farm, or proper British-style cheese made on-site at William Cofield Cheesemakers. Sample craft beers at Crooked Goat Brewing or Woodfour Brewing Co., or handcrafted wines in one of The Barlow’s three boutique wine tasting rooms. Five miles northwest of Sebastopol, the main street of the tiny community of Graton is not much more than a block long, but the community offers nationally acclaimed restaurants, delightful wineries, and a strong artistic community. 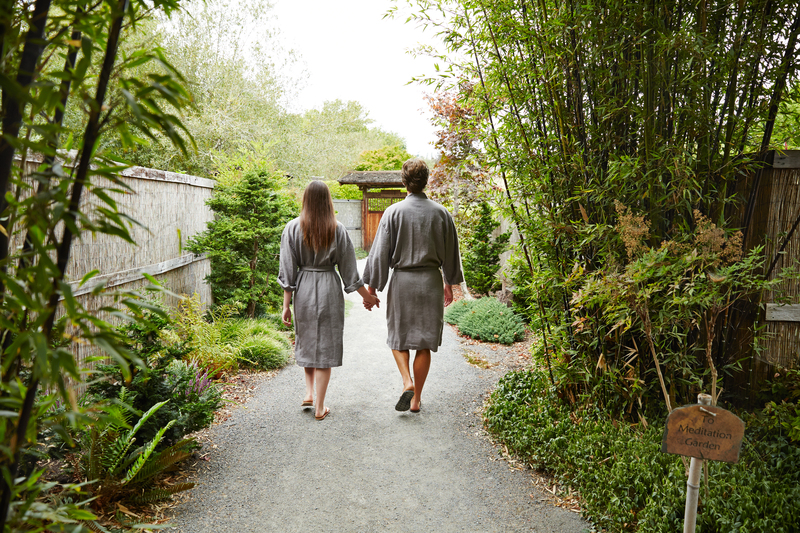 Six miles southwest of Sebastopol, the hamlet of Freestone is home to Osmosis Day Spa Sanctuary, the only day spa nationwide that offers the cedar enzyme bath, a rejuvenating heat treatment from Japan. With its Japanese décor and meditation garden, Osmosis is a wonderful wellness retreat, offering massage, organic facials, skin care, and other wellness and relaxation services. 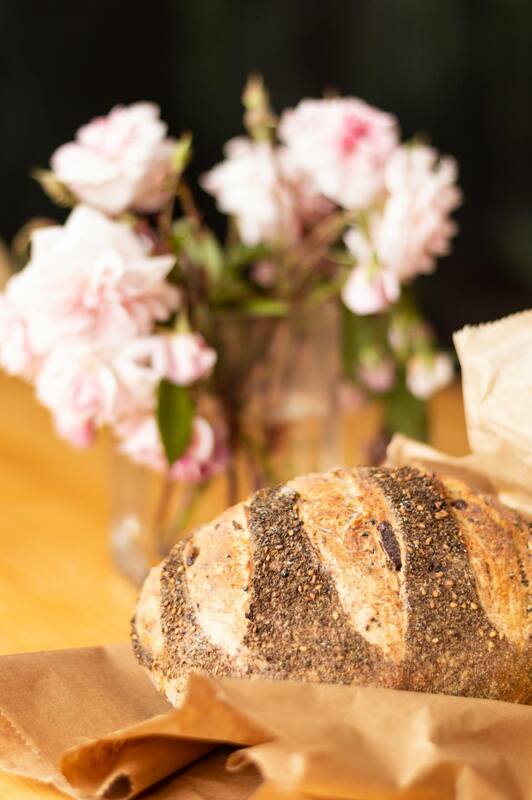 Don’t miss the wonderful baked goods at nearby Wild Flour Bread; fans drive miles out of their way to get Wild Flour’s breads and scones, including amazingly delicious gluten-free scones, all cooked in a wood-fired brick oven. If you have time to explore, Freestone is the southern end of the highly scenic 10-mile-long Bohemian Highway. Plus, Freestone is only about 10 miles inland from the Pacific Ocean and Sonoma County’s stunning coastline. 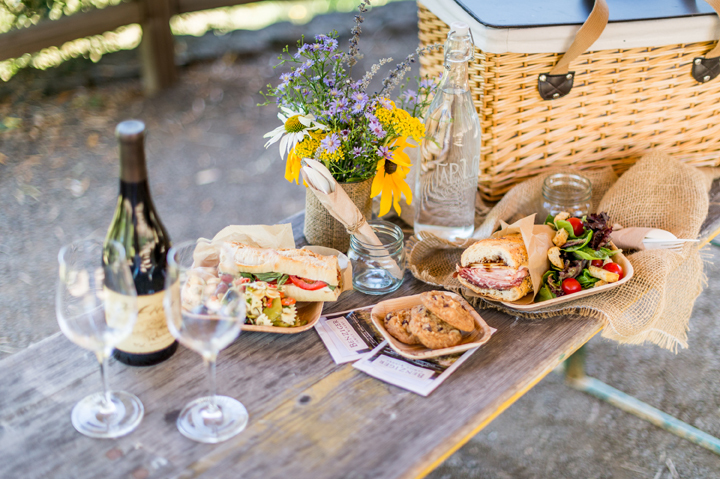 The northern Sonoma County town of Healdsburg is a wine and foodie haven. The charming and highly walk-able downtown area features a variety of art galleries, antique stores, boutiques, restaurants, and wine tasting rooms. 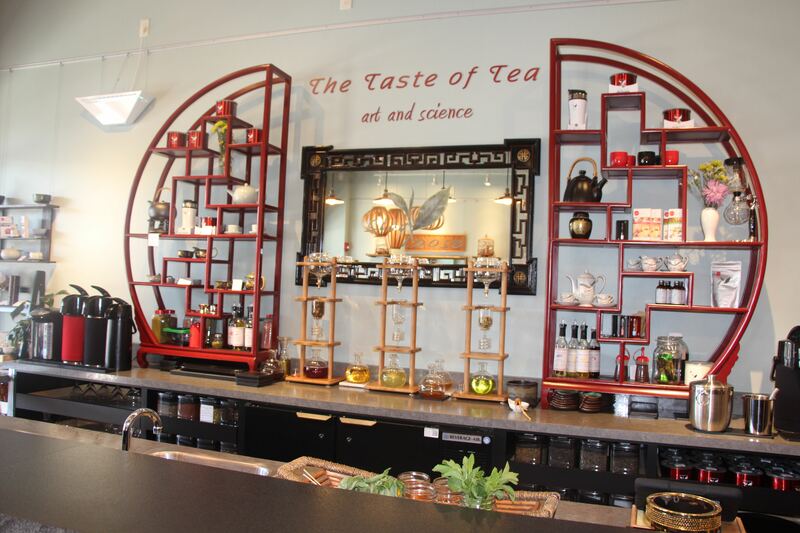 Stop by Taste of Tea Japanese Restaurant, Spa, and Tasting Bar for a unique bit of relaxation and renewal; eat traditional Japanese dishes while sipping a tasting flight of classic teas, then unwind with a green tea foot soak or an aromatic herbal neck wrap. Three prime winegrowing regions — the Russian River Valley, Dry Creek Valley, and Alexander Valley wine appellations — meet near Healdsburg. That means more than 100 world-class wineries and tasting rooms are just a short drive away, or a fun bicycle ride. 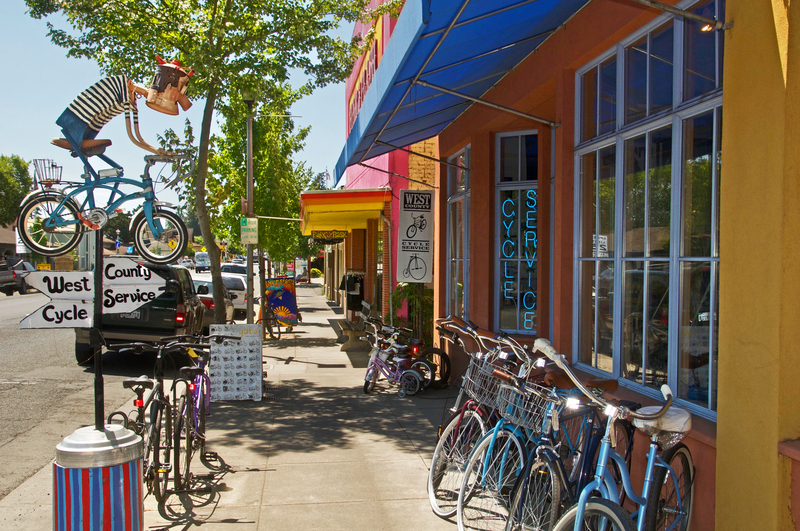 Explore on two wheels on the Sip ‘N Cycle Tour by Getaway Adventures or the Healdsburg Wine Country Cycling Tour with Ace It Bike Tours. Or, glide your way to two beautiful boutique wineries on the Russian River Vineyards DeLuxe Tour by Segway of Healdsburg. 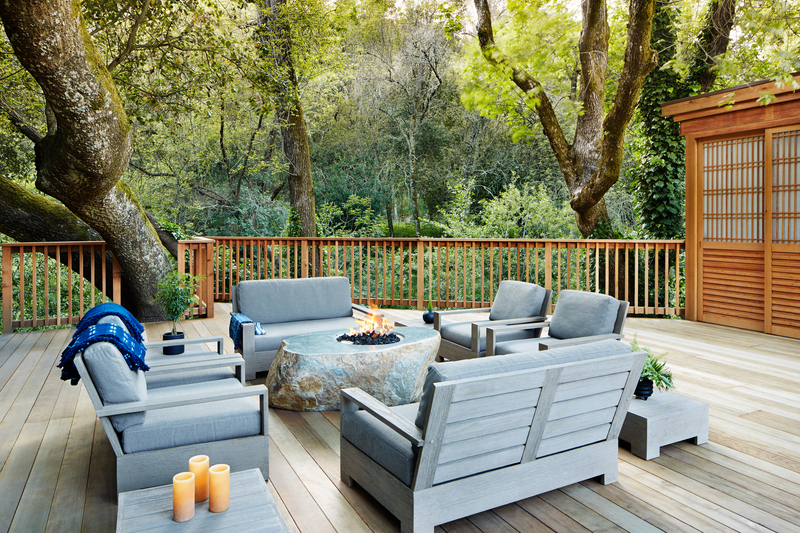 From Healdsburg, you can head north to the charming communities of Geyserville and Cloverdale. Or explore the Russian River resort area all the way to the coast. If you want to combine the river with wellness, take a standup paddleboard yoga class with Rubicon Adventures. In eastern Sonoma County, the lush Sonoma Valley offers a delightful blend of wine, history, arts, fine food, and scenic views. 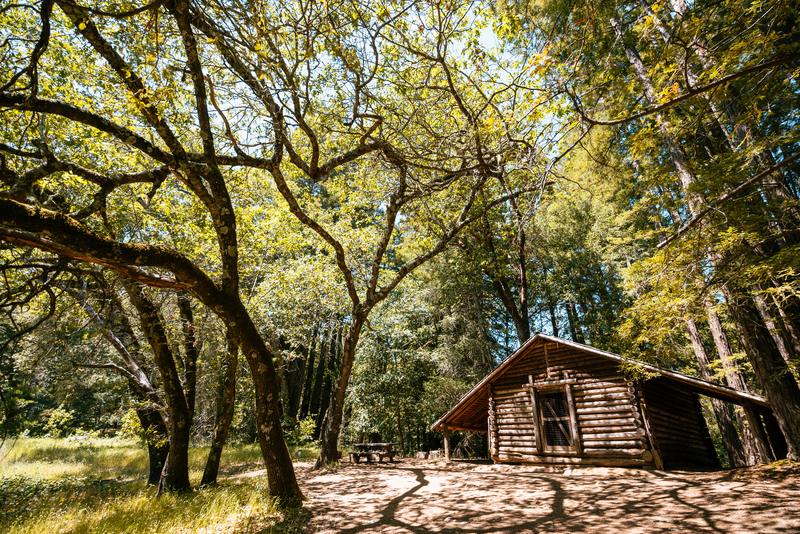 At the north end of the valley, Jack London State Historic Park, the former ranch home of acclaimed author and adventurer Jack London includes more than 26 miles of trails across 1,400 acres. Visit the simple cottage where London and his wife lived, pay your respects at their gravesites, and learn more at the recently updated House of Happy Walls Museum. The park’s extensive trail system offers amazing views, and connects to part of the Bay Area Ridge Trail. Or, ride one of the gentle, well-cared-for horses from Triple Creek Horse Outfit and let a knowledgeable local guide lead you on a trail ride suited to your abilities, past vineyards and through oak woodlands and shady redwood groves. 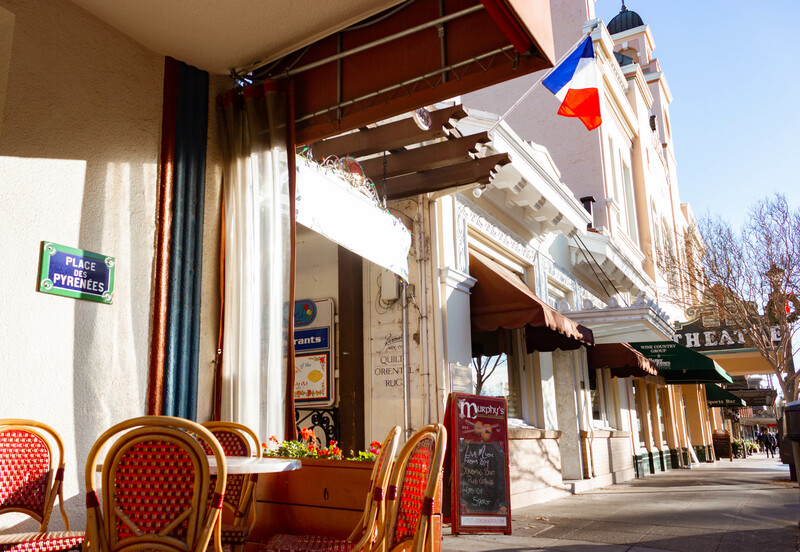 In the nearby village of Glen Ellen, visit chef Pascal Merle and his wife Pascale at Les Pascals pâtisserie, for their delicious coffee, pastries, breads, sandwiches, and soup in nearby Glen Ellen. (You’ll have to stand in line with the locals — it’s a popular place.) 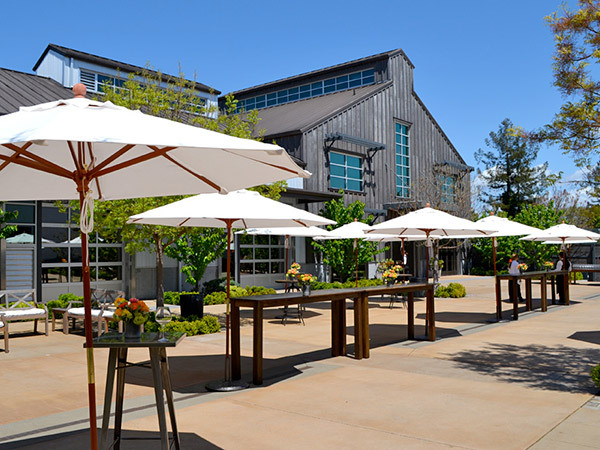 A little farther south, wander around the eight-acre central plaza in the town of Sonoma, exploring the nearby shops, galleries, tasting rooms, and delicious eateries. History is everywhere you look, from the statues in the plaza to the neighboring Sonoma State Historic Park, which contains a number of sites, including the last and northernmost of California’s missions. Greet the dawn on a coastal bluff with a Sun Salutation pose, meditate in the stillness of a redwood forest, or start a day of wine tasting with a yoga session in a serene and beautiful vineyard. Several companies offer help making yoga, breathwork, meditation, and other harmonious practices a part of your Sonoma County getaway. Choose from a four-hour or day-long, customized Yoga & Wine Tour with Atmani Wine Country Tours. Begin your day-long experience with Hatha Flow yoga and breathwork at a sustainable winery in the heart of Wine Country, then visit two sustainable boutique wineries for a behind-the-scenes tour and tasting, with a paired gourmet lunch. Karma Tales creates customized holistic experience for individuals or groups, in your vacation rental, at one of several Sonoma County locations, or even at the beach. Activities can include yoga, massage, meditation, art, Ayurveda, dance, and archery; you might want to hike around a spectacular outdoor labyrinth. Body Flows founder Sally Mitchell organizes and leads day or weekend yoga, mindfulness, and wellness events that can include wine tasting. Mitchell also works as a massage therapist and Reiki energy practitioner, helping people move their bodies with greater ease and less effort. 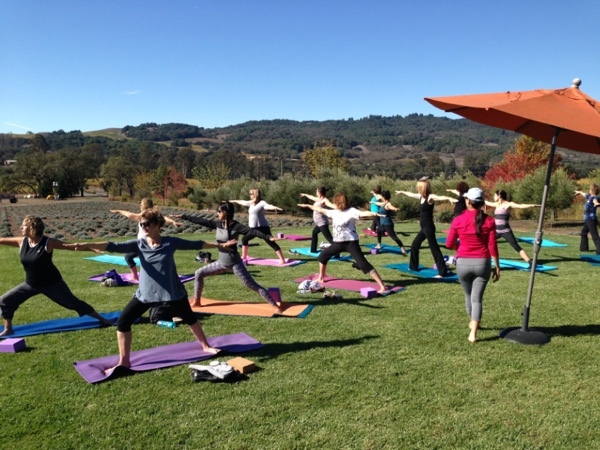 Breathe in the beauty of this area while practicing yoga at gorgeous outdoor locations at wineries throughout Sonoma County with Yoga in the Vineyards with Molly Vogel. Classes are followed by a small wine and snack pairing. Vogel teaches lighthearted Vinyasa style yoga classes to all levels. The sheep are not only cute, they play a vital role in removing overgrown cover crops, which means no need for mowing, disking, or spraying herbicides at Sonoma Valley’s Benziger Family Winery, which always uses the most eco-responsible farming methods available. Every wine in Benziger’s award-winning wine portfolio is third-party certified for green farming practices; some are also certified organic and others Biodynamic. Ride through the vineyards on a tractor-pulled tram, explore the winemaking facilities and wine cave, and then taste Benziger’s authentic and memorable wines. 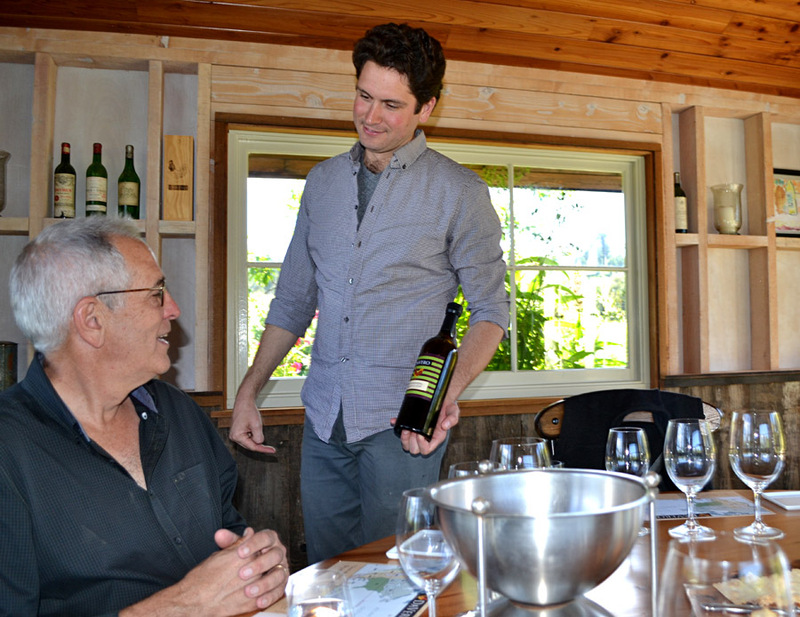 Visit with owner and winemaker Luke Bass at Porter Bass Winery, located between two ridges above the Russian River Valley. The tasting bar is a slab of wood atop two barrels under a walnut tree next to grapevines, with breathtaking views of vineyards and forest. Bass handcrafts his 1,000-case winery’s highly acclaimed Pinot Noir, Chardonnay, and Zinfandel wines, and personally leads the hour-long tasting tours (by appointment only). Certified Biodynamic, DaVero Farms and Winery in the Dry Creek Valley is home to vineyards, olive groves, fruit trees, and bountiful produce, as well as chickens, sheep, and pigs. They focus on rare Italian varietals and all tastings are by appointment. On the “Discover the Farm” tour, explore the vineyards and gardens and meet the farm animals before sitting down to a focused tasting of DaVero’s wines, estate olive oils, and its imported 15-year aged balsamic vinegar. Each wine is complemented with seasonal food pairings. 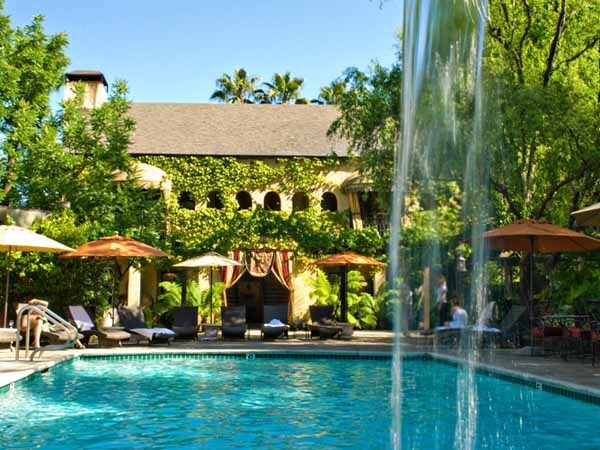 Immerse yourself in the ultimate Wine Country oasis at the historic Fairmont Sonoma Mission Inn & Spa. It offers beautifully appointed guestrooms and suites, an award-winning restaurant, a pampering spa, and world-class golf. Go on a free docent-led hike or take a free yoga or fitness classes, and then relax at the daily wine tasting in the lobby. Wine Country blends with Asian flair at Gaige House + Ryokan. Built as a private home in the Sonoma Valley in the late 1800s, Gaige House offers décor and services inspired by the traditional Japanese ryokan inns. This secluded hideaway includes 23 guestrooms plus nine Zen suites with authentic Japanese accents, including granite soaking tubs and private gardens. Relax in Mediterranean-style tranquility and luxury at the Kenwood Inn & Spa , a tranquil hideaway on two-and-a-half meticulously landscaped acres in the north end of the Sonoma Valley. Recently extensively remodeled, each of the 29 rooms is different, yet all are posh palace retreats, with a fireplace sitting area and baths that are nearly large enough to swim in. Enjoy rustic luxury where attention is paid to even the tiniest detail at the Farmhouse Inn & Restaurant, in the Russian River Valley. 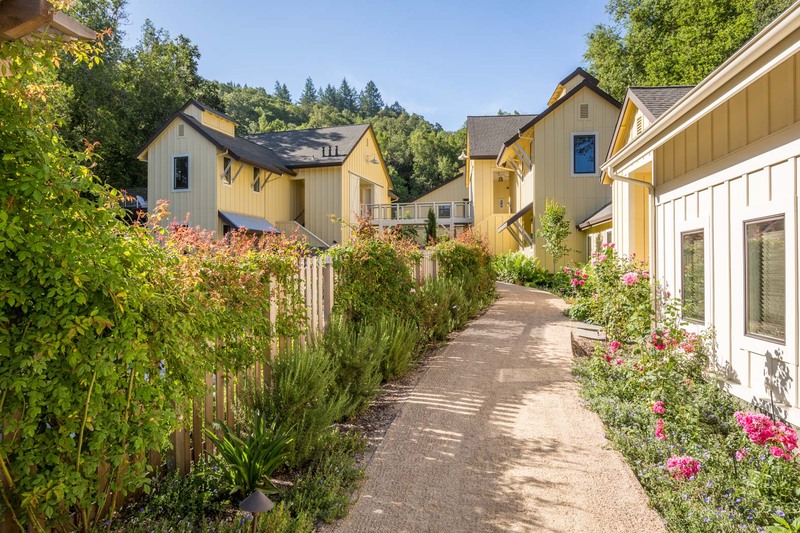 Owned by siblings and fifth-generation Sonoma County farmers Catherine and Joe Bartolomei, the inn offers 25 luxurious accommodations, country-chic décor, and outstanding services. The onsite restaurant has earned a Michelin Star every year for more than a dozen years for its farm-to-table Cal-Mediterranean menu. The grounds include a luxury spa, a pool and hot tub, outdoor fire pits for s’mores, and beautiful gardens. Tucked into the beautiful redwood-forested hills above the Russian River Valley in western Sonoma County, Ratna Ling Retreat Center offers private luxury cottages and organic farm-to-table vegetarian meals, as well as classes in relaxation, meditation, Qi Gung, yoga, moving meditation, and other topics. The onsite Mandala Wellness Center provides a range of massage and body work treatments. Somewhat remote, Ratna Ling is a perfect place to escape from the busy-ness of life, connect with nature, and find your peaceful center.